* 2. Transsexualism refers to a condition or belief which results in gender dysphoria in individuals and makes them insist that their biological gender is different from their psychological and experienced gender. Although the etiology of gender dysphoria (or transsexualism) is still unknown, different neuroimaging studies show that structural and functional changes of the brain result from this sexual incongruence. * 3. Non-treated transgender individuals have an increased risk of a depressive disorder. Interventions offered alongside gender affirming treatment to develop interpersonal skills, increase self-esteem and improve social support may reduce depression and prepare individuals for a more successful transition. * 5. Thank you for listening ! 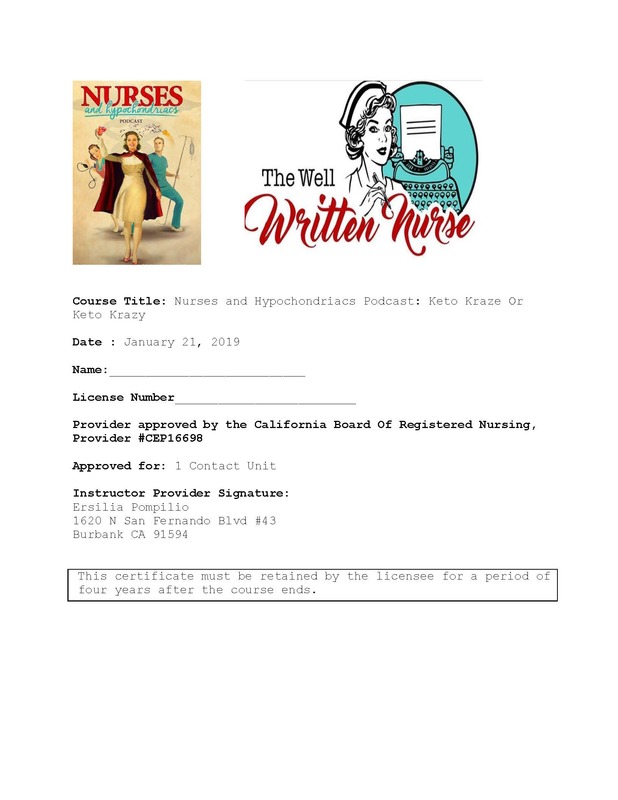 Support us on iTunes and give us a rating andsend us some bucks on Venmo @Nurses-Hypo . Please print the certificate and save for your records !